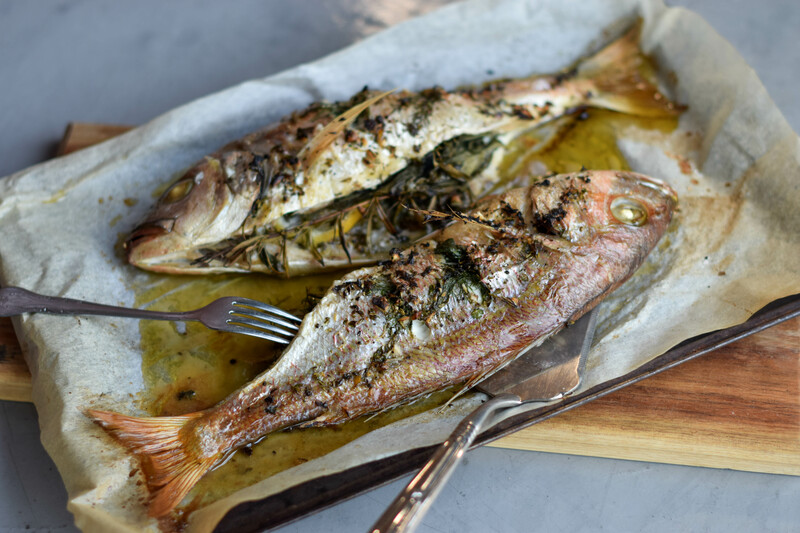 This article first appeared in House & Leisure Online and is entitled “Herb-stuffed Silver Fish”. 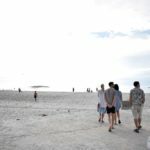 Here I’ve adapted my original post slightly in order to make it blog-relevant. 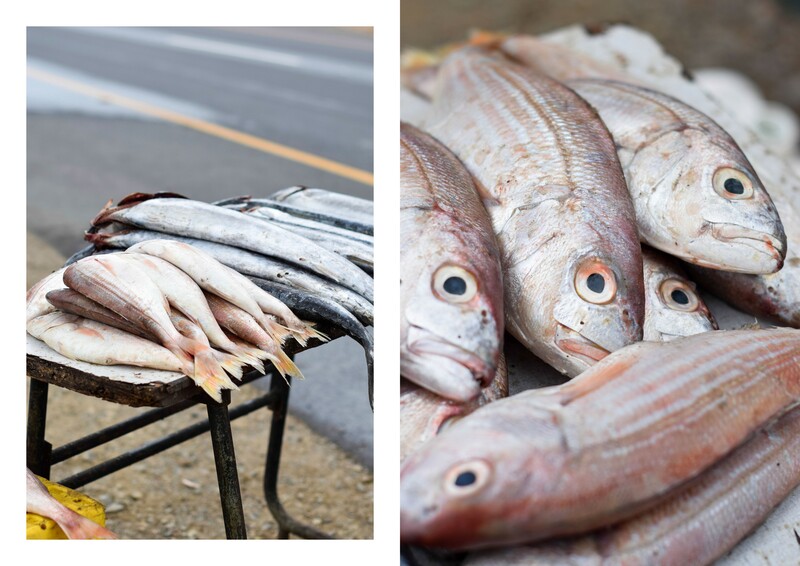 One rainy Friday afternoon we drove past a young man selling fruit and fish at a makeshift stall along a back road near Melkbosstrand. 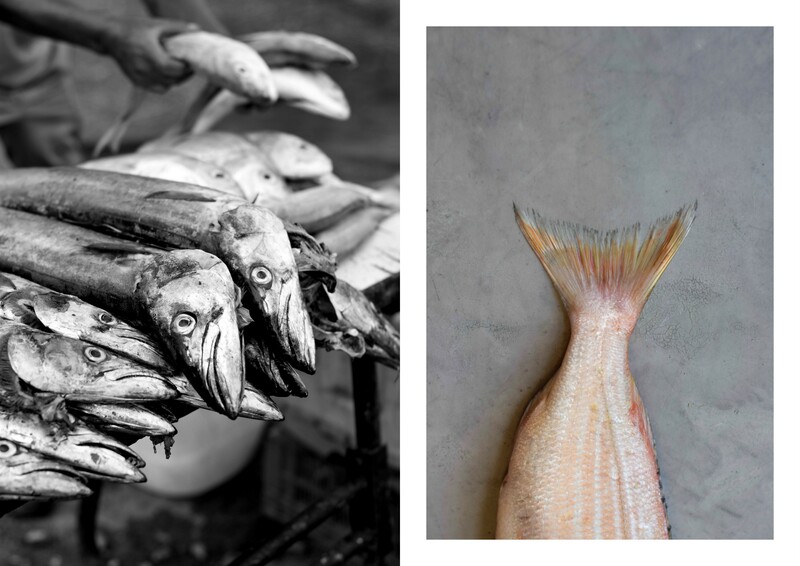 Knowing about my series on sustainable seafood, my mother decided that here was as good a place as any to pick up some fresh fish. I was slightly dubious about her decision as I’d had unpleasant experiences with food bought on the side of the road before. But there amongst the usual snoek was a decent-sized catch of silver fish. 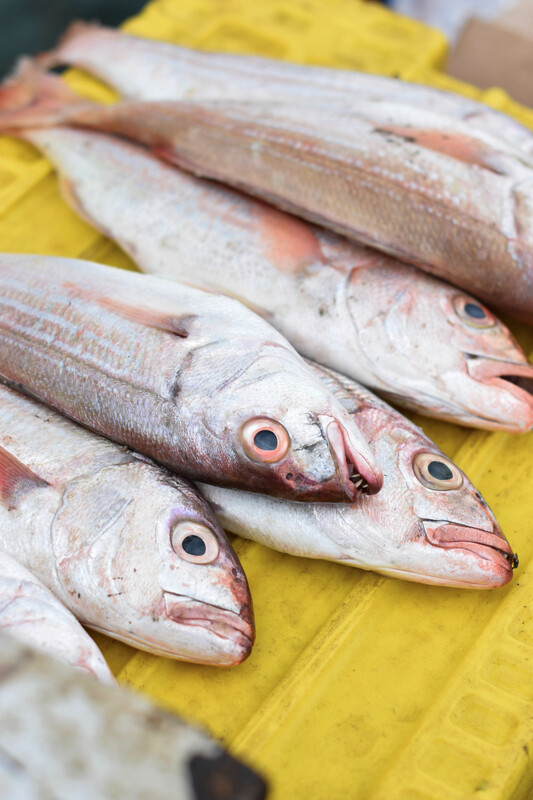 Alternatively known as carpenter, kapenaar and doppie, the silver fish is only considered to be a sustainable option if caught using the traditional linefishing method of rod and reel. The alternative method of inshore trawl netting often results in the bycatch of seabirds and other marine species such as sharks, rays and endangered fish. Which is why it’s so important to ask the seller how the fish was caught. Faced with the question asked in my broken Afrikaans, the man gesticulated reeling in a fish, giving me a semblance of assurance that this lot had been sustainably acquired. 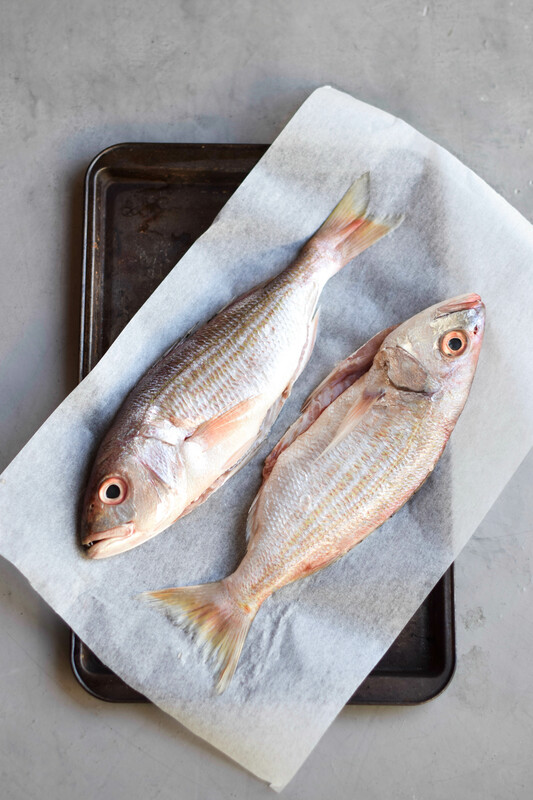 When buying fish like silvers – that are both on the orange and green SASSI lists – always purchase from a reputable fishmonger or fisherman and ask how the fish was caught. 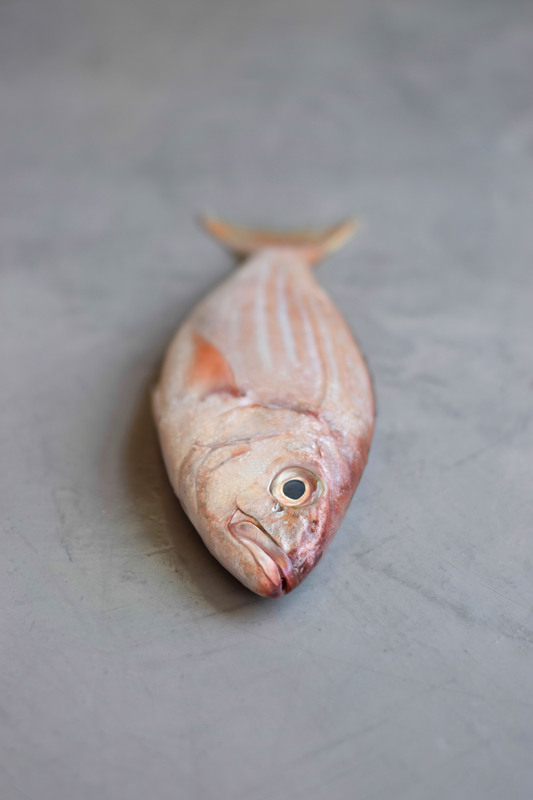 A medium-sized fish with a shiny skin of pale pink, silver fish are a relatively affordable seafood choice. 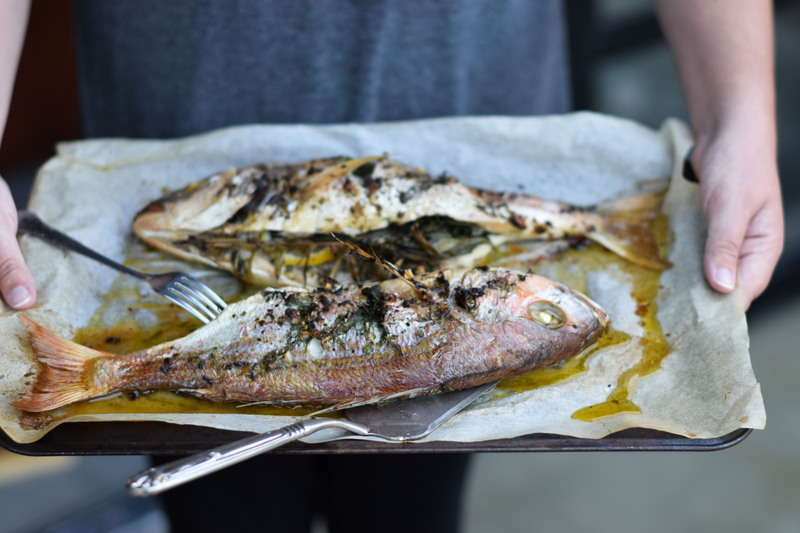 One fish can easily feed two people and they yield up a firm, tasty flesh that works well with Mediterranean flavours. Ask in advance for the fish to be gutted and scaled, so you won’t find yourself one Saturday afternoon, wearing rubber gloves and holding a fish by the tail whilst myriad tiny scales cover you like fishy dandruff. A true and highly unpleasant story that one. Preheat the oven to 200°C. Rinse the fish under cold running water and pat dry with paper towel. 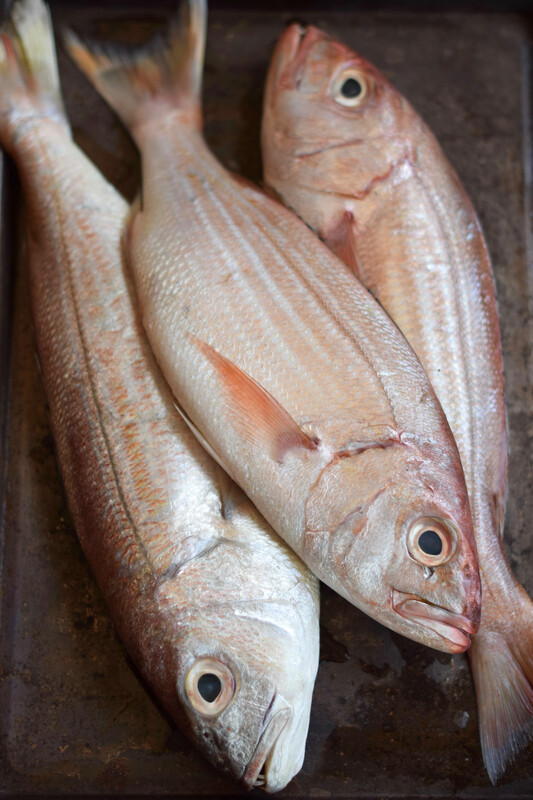 Using a sharp knife, cut three diagonal slits into one side of each fish. 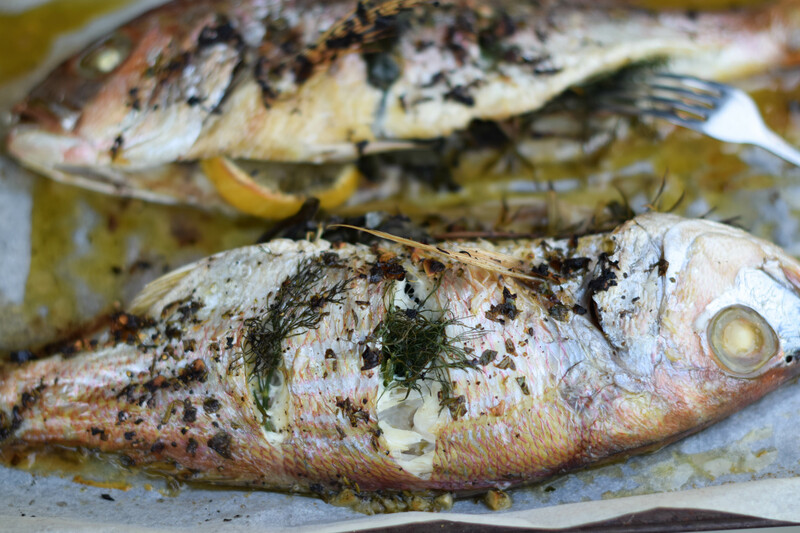 Season the fish with salt and pepper, being sure to get into the stomach cavity and the slits. 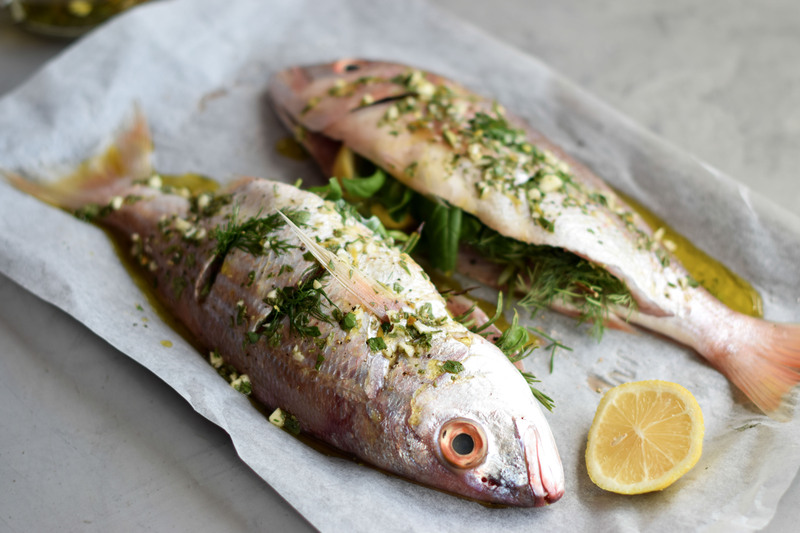 Arrange the fish, slit-side up on a lined baking sheet or roasting dish. 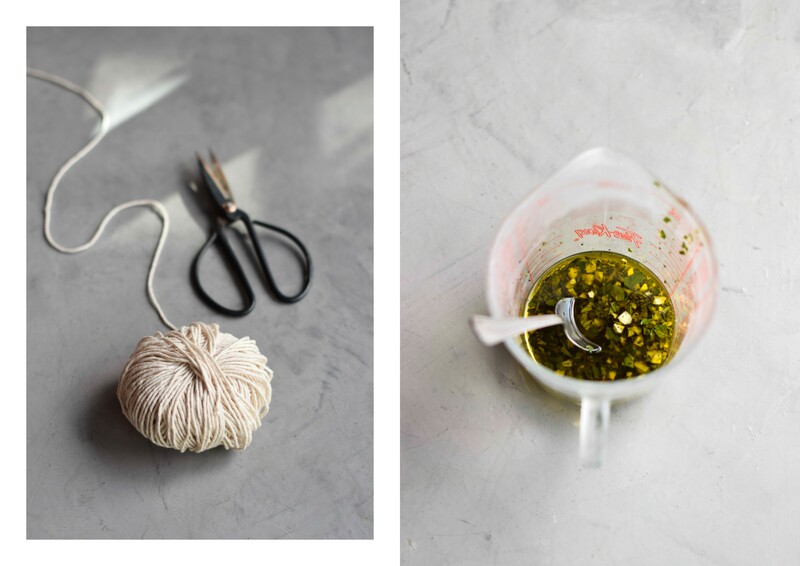 To make the marinade, take one sprig from each of the herbs, remove any woody stalks and finely chop. Add to a bowl with the olive oil. Zest and juice one lemon and crush the garlic cloves, adding them to the marinade. Season with salt and pepper and stir to combine. 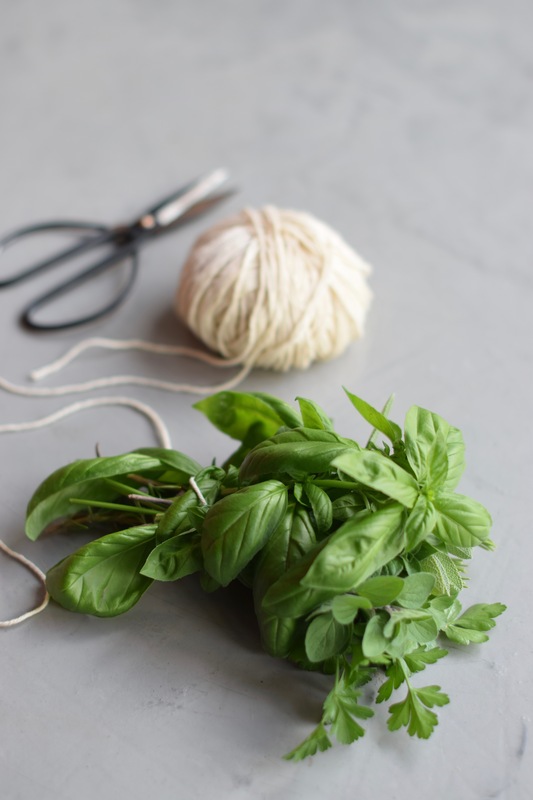 Take the rest of the herbs and tie into small bunches (bouquet garni) with kitchen string – one bunch for each fish. 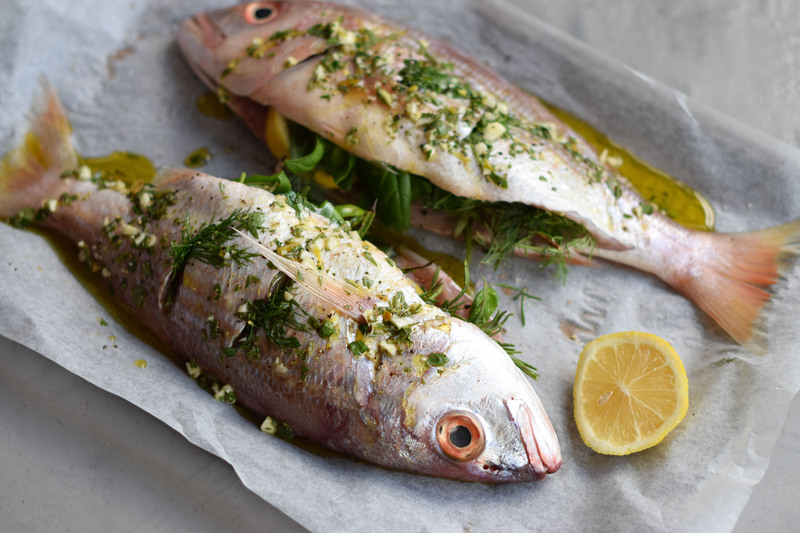 Slice the remaining lemons thickly and stuff each fish with the slices and herb bouquet. Drizzle over the marinade, making sure to spoon it liberally into the cavity and the slits. 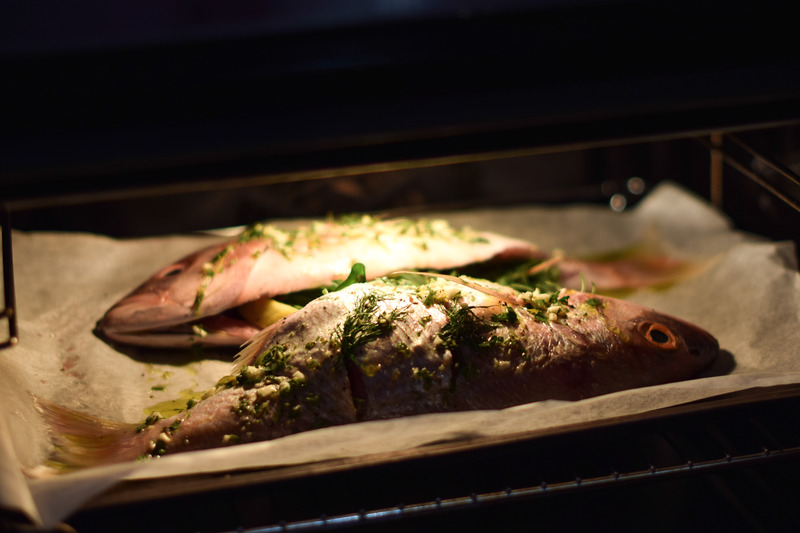 Roast the fish at 180°C for 20 to 24 minutes until the flesh is no longer translucent and it pulls away easily from the skin. Remove the herb bouquets and serve the silvers immediately with a simple green salad and a loaf of crusty bread.